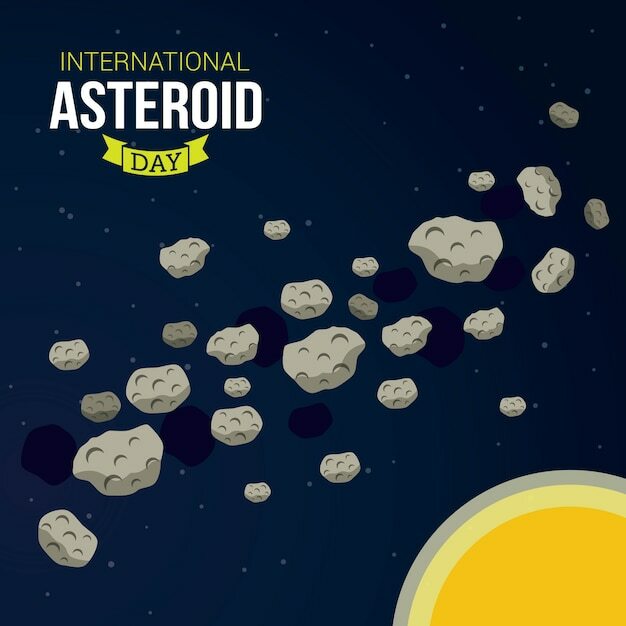 Happy International Asteroid Day! To celebrate the event, which I see as the established version of Apophis Day, I'm sharing Seeker's video This Massive Asteroid Is Headed for Earth…. What Now? This is how NASA intends to stop an asteroid before it slams into our planet, potentially ending civilization as we know it. In case this plan looks familiar, it's basically the same as Vox explains NASA's plan to save Earth from asteroids but reported by people who have a better grasp of science. That's it for June. Stay tuned for the first post of July, which will be about Canada Day. It's the final Flashback Friday of June 2018, so it's time to post the final retrospective of the seventh year of this blog. As I wrote in Pins, comments, shares, and likes for the seventh year of Crazy Eddie's Motie News, it's about the back catalog. As I wrote in Update to 'Suit against John Oliver and HBO dismissed,' top post for the seventh year of Crazy Eddie's Motie News, only two entries from the all-time top ten as of March 20, 2017 remained in the top ten as of March 20, 2018. They were also the most read posts of the past two years. The displacement of a previous year's popular post is emblematic of the kind of year it's been, as only two posts remain from last year's top ten. They are Last Week Tonight examines Clinton and Trump foundations after winning three Emmy Awards from September 27, 2016, the top post for the sixth year of Crazy Eddie's Motie News, which shows how popular John Oliver with this blog's readers, and Trump thinks Sanders is the right enemy, the top post of the fifth year of Crazy Eddie's Motie News. * All eight of the other posts in the all-time top ten are new. Last Week Tonight examines Clinton and Trump foundations after winning three Emmy Awards from September 27, 2016, began the seventh year of the blog as the most read of all time. It ended the seventh year of this blogging year as the sixth most read of all time. It is currently the eighth most read entry with 7947 default page views. Trump thinks Sanders is the right enemy from October 16, 2015 was the second most read entry of all time as of March 20, 2017. It ended the seventh year of this blog in ninth place of all time with 7072 default page views. Seeker explains how television entertainment can shape our political opinions from May 31, 2018 passed "Trump thinks Sanders is the right enemy" with 7072 page views to enter the all-time top ten about 7:00 P.M. on June 3, 2018. Sic transit gloria mundi. Follow over the jump for five entries from the back catalog that became top post during the seventh year of this blog and which I've already examined. Once again, it's a Throwback Thursday, which means all my readers who I told to "Stay tuned for the last two retrospectives of the seventh year of this blog" to conclude Beyond The Trailer on 'Incredibles 2' and 'Jurassic World 2' at the box office will be rewarded. Today's entry covers comments, shares, saves, and likes. I begin with the most popular on Pinterest based on pins saved by other users. Infidel 753 and I talk fossils from September 7, 2016 repeated as the most saved post during the seventh year of this blog, as it was the most pinned post during the most months, April 2017, June 2017, August 2017, and September 2017, being saved 27 times during those months. 'Star Wars' alignment charts from August 2015 came in second with 23 saves during the blogging year ending in March 2018. It was the most saved pin during January and February 2018, tied for first during November 2017, and came in second during March 2018. Kunstler said Americans would elect maniacs was the most saved pin during October and tied for most saved pin during November 2017 with 12 saves total during those months, landing it in third place. There were also 4 comments on my pin during October 2017. The fourth most saved pin was for Star Wars drinks for Star Wars Day from May 4, 2015. Other Pinterest users saved it 11 times during July 2017, when it was the most saved pin, and November 2017 when it tied for most saved. Two posts tied for the fifth position with eight saves each. It was funnier when Chico Marx said it from February 2017 was the most saved on Pinterest during March 2018, while Happy Winter Solstice 2015! from December 21, 2015 was the most pinned overall during December 2017. 'Pirates of the Caribbean' alignment chart from Aug 2, 2015 was both the most pinned for May 2017 with 6 saves and earned more than 100 page views that month from Pinterest. Great Lakes cities and their roles in the regional economy from June 26, 2014 tied for most saved during August 2017 with five saves, placing it seventh overall. The most saved entry on Pinterest actually posted during the seventh year of the blog was 'Stranger Things' alignment charts from May 2017. It tied for most saved during November 2017 with three saves. Finally, E. Layton shared Goodbye, Cassini! from September 16, 2017 on Pinterest, which resulted in nearly all of the 827 unique visits from the image-sharing sites this month as well as almost all the page views for this post. Follow over the jump for the most commented on, retweeted, and liked on Google+, all of which have already been mentioned earlier in this series and all of which are about awards shows. "I have one more installment in this sad story to post, which will come from Retail Archeology tomorrow. Stay tuned." That's how I concluded Part 2 of Toys R Us in the Retail Apocalypse — Company Man. Since it's now tomorrow, it's time for me to follow through with four videos showing the stages of bankruptcy and liquidation from a customers-eye view. Unlike yesterday's entry in which I posted the videos in chronological order, I'm starting with the most recent video, One Last Visit To Toys R Us. In this episode I make one last trip to my childhood Toys R Us store shortly before they all close forever. If you haven't made that last trip to Toys R Us yet you're running out of time! This wasn't the first time Retail Archeology visited a Toys R Us store. Follow over the jump for three videos recorded over the past nine months. As I most recently promised yesterday, I am posting the first of two follow-ups to Part 1B of Toys R Us, a tale of the Retail Apocalypse — Bright Sun Films. Today, Mike the Company Man brings the bad news. When Toys R Us declared bankruptcy nine months ago (just before my birthday! ), Company Man asked The Decline of Toys R Us...What Happened? This week Toys R Us has filed for bankruptcy. It was shocking news and left everyone wondering what happened. This video takes a look at Toys R Us and explores the causes of the bankruptcy as well as makes predictions about the future of the company. Unfortunately, all of Mike's hopes for the company were for naught, as he reported last week in Toys R Us - The Final Chapter. We are in the final days of Toys R Us. A company that's been part of our lives for the past 70 years is nearing its end. Exactly 9 months ago I made a video about their decline that talked about their core issues. It essentially told the story of Toys R Us, with the exception of the final chapter. This video completes the story and talks about what's been happening over the past 9 months and why they weren't able to recover. I have one more installment in this sad story to post, which will come from Retail Archeology tomorrow. Stay tuned. For this week's Sunday entertainment feature, I'm being a good environmentalist and recycling 'Get Out' wins Ray Bradbury Award at the Nebula Awards at my Dreamwidth journal. On Crazy Eddie's Motie News in February, I posted 'Get Out,' 'Logan,' and 'The Shape of Water' among nominees for the Ray Bradbury Award for Outstanding Dramatic Presentation and made a prediction. Based on which the screenwriters have nominated for the WGA Awards as well as the Oscars, the real contenders are "Get Out," which won Best Original Screenplay at the WGA Awards and is nominated for an Oscar, "The Shape of Water," which was nominated for Best Original Screenplay at both the WGA Awards and the Academy Awards, and "Logan," which was nominated for Best Adapted Screenplay at both the WGA Awards and the Academy Awards. 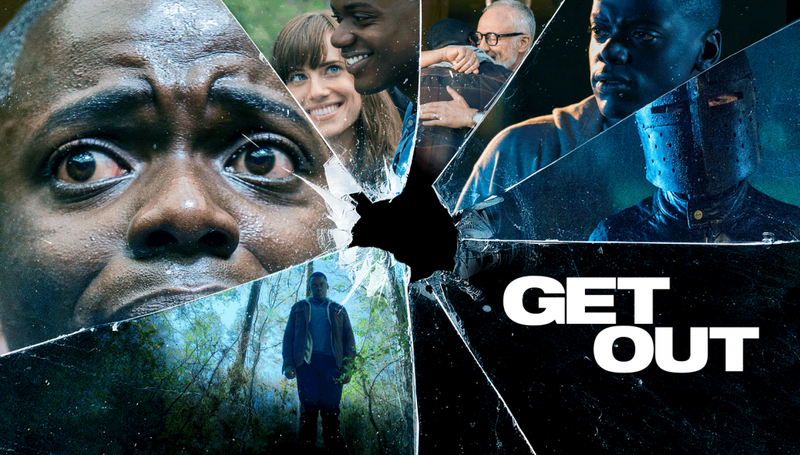 If the Science Fiction and Fantasy Writers of America follow the lead of the WGA and the Writers Branch of the Motion Picture Academy, "Get Out" would be the favorite, followed by "Logan" and "The Shape of Water." Earlier today, The Verge reported on the Nebula Award winners, writing "Jordan Peele’s film Get Out won the Ray Bradbury Award for Outstanding Dramatic Presentation...." My prediction came true! This news is two months old, but I'm posting it here because the 2018 Saturn Awards will be presented this coming Wednesday, June 27, and "Get Out" is nominated for Best Film Writing, but also because I stumbled across some news about the other prestigious science fiction awards, the Hugo Awards. Follow over the jump for an update involving the Retro-Hugo Awards. 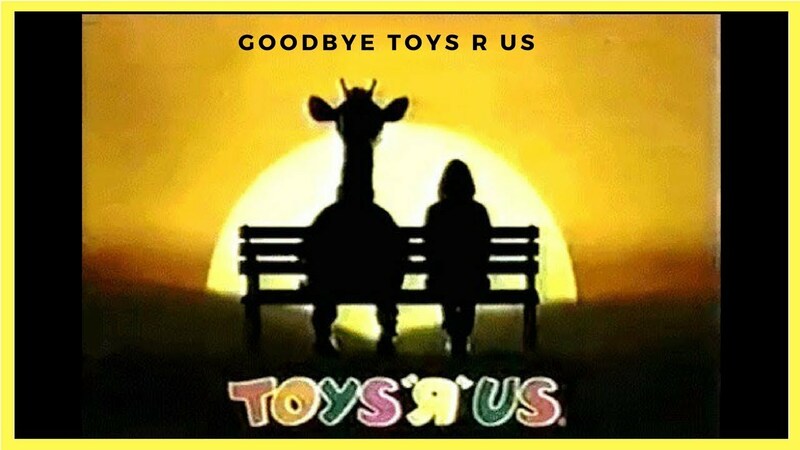 Four videos appeared in my feed yesterday about Toys R Us closing down, so it's time for me to post another tale of the Retail Apocalypse about the demise of America's, if not the world's, largest toy store chain. In fact, I'm making a three-part series updating my readers. In today's first part, I'm sharing the most comprehensive single video on the topic, Bright Sun Films' Abandoned - Toys R Us. 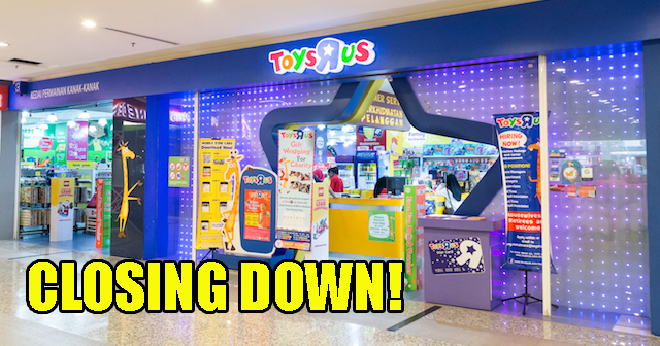 After much request, today I wanted to take a deeper look into the worlds most famous and iconic children's toy store that became a staple of millions childhoods, only to crumble in 2018. Lets take a look at Toys R Us. This is a much more complete and unbiased account than CNBC gave in April's entry about Toys R Us closing down, which I'm retroactively calling Part 1A of Toys R Us, a tale of the Retail Apocalypse, making this episode Part 1B. Stay tuned for Part 2 featuring Company Man on Monday and Part 3 starring Retail Archeology on Tuesday. What about Sunday? That will be another entertainment update, of course. DCI held the first contest of the 2018 competitive drum corps season last night in Detroit, which is why I told my readers yesterday to "stay tuned for an entry about drum corps shows with speculative fiction themes" today. 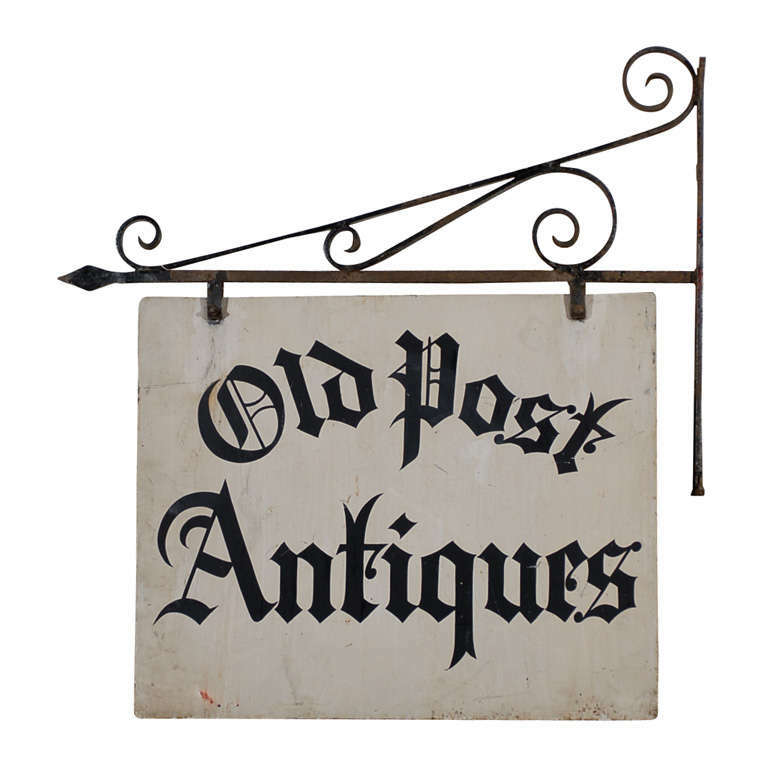 * On with the post! At first glance this year's junior drum corps programs did not seem to include as many shows with speculative fiction themes or elements as last year, when I identified nine shows with science fiction, fantasy, or horror motifs at the time and then added a tenth. In particular, I didn't see any shows with strong science fiction themes, although there are a few programs with science fiction elements. Closer examination of the show themes and repertoires showed that there are at least ten shows with speculative fiction elements — in particular, mythology, fantasy, and horror all have strong representatives — and there may be as many as thirteen. I begin with Blue Knights, who are exploring Egyptian mythology with "Fall and Rise." FloMarching describes the show. Blue Knights' 2018 program "Fall And Rise" takes inspiration from the sun god Ra "as a springboard to go deeper and explore the invincible human spirit." From the description on the corps' website, the show will be another high-brow concept, but with some easily understandable imagery to set the stage. With the corps' 2017 uniforms being so directly related to their show concept "i," expect that the 2018 look will reflect the concept of "Fall And Rise" very explicitly. This year's uniforms definitely do reflect the ancient Egyptian theme. Look at that scarab! The music is less fantastic, although three pieces would work just as well for a science fiction show. Blue Knights will play the following repertoire: "Sun King" by The Beatles, "The Rite of Spring" by Igor Stravinsky, "Exit Music for a Film" by Radiohead, "Welcome to the Machine" by Pink Floyd, and "Time After Time" by Cyndi Lauper/Robert Hyman. "Exit Music for a Film" was used in "Westworld," "Welcome to the Machine" would fit in a robot show, and "Time After Time" works for a time-travel show. Crossmen became the first corps to play "Exit Music for a Film" last year, making them the tenth corps from 2017 to have a science fiction element or theme to their show, although the rest of their program did not qualify. This year, the corps' entire show theme falls under speculative fiction, "The Inbetween." Here is the text of the announcement on Twitter. Exploring the space between the no longer and the not yet. No, the "Upside Down" piece is not from "Stranger Things," although I'm sure the composition was inspired by the Netflix horror series. Because of that connection, I'm provisionally filing this show under horror, even if it isn't scary. Follow over the jump for the rest of this year's drum corps shows with speculative fiction themes. Happy World Giraffe Day! For this year's celebration, I'm sharing three videos from Jacksonville University's The Science of... series about giraffe conservation. First, What do Giraffes at the Jacksonville Zoo and Gardens Eat? What do giraffes eat - Watch a giraffe eat a whole banana, skin and all, and get a behind the scenes peek at preparing mixed herbs and alfalfa for the giraffe herd, as well as learn about some of the plants that the giraffes browse and graze on as they roam about their “African” Savanna at the Jacksonville Zoo and Gardens. I can tell keepers Aree and LeShea really enjoy their work and love their charges. That's good for both them and the giraffes. Next, Giraffes... Duke and His Family Tree. Forrest and Fiji are the youngest giraffes at Jacksonville Zoo and Gardens, and their dad, Duke, has sired 14 additional offspring. See these giraffes and learn a little bit about their family tree by mammal keeper LeShea Upchurch. That was both cool and informative, but I wished they told the viewers what they did with the giraffes they didn't keep. I assume the Jacksonville Zoo sends them to other zoos as part of the Reticulated Giraffe conservation plan. Speaking of which, the final video about the giraffes at the Jacksonville Zoo is a science video, Endangered Giraffes... 4 species or 1? Giraffe genetics, ossicones, coat spots and patterns, where endangered giraffes live, how many giraffe species there are, Giraffe Conservation Foundation, and Jacksonville Zoo and Gardens! Join Faraja the giraffe, Jacksonville Zoo and Gardens Conservation Program Officer, Lucas Meers, and Dr. Julian Fennessy, Co-director of the Giraffe Conservation Foundation to learn about giraffes, their plight, and what you can do to help! The Giraffe Conservation Foundation is the organization behind World Giraffe Day, so I think it's only appropriate that one of their directors appears in a video today. Enough science. How about some music for the Summer Solstice? Here are Camille and Kennerly, better known as the Harp Twins, with Beneath the Midnight Sun (SUMMER SOLSTICE Original Song). Happy Solstice! Stay tuned for an entry about drum corps shows with speculative fiction themes. Happy American Eagle Day and an early National Seashell Day! Here is the description of today's wildlife holiday from National Day Calendar. Observed each year on June 20th is National American Eagle Day. This day is set aside to honor our national symbol, raise awareness for protecting the Bald Eagle, assist in the recovery of their natural environments and take part in educational outreach. The Bald Eagle is both the national bird and the national animal of the United States of America and appears on its Seal. In the latter 20th century, the Bald Eagle was on the brink of extinction in the continental United States. Eventually, populations recovered and on July 12, 1995, the species was removed from the U.S. Federal Government’s List of Endangered Species and transferred to the List of Threatened Species. On June 2007, it was withdrawn from the List of Endangered and Threatened Wildlife in the Lower 48 States. The Bald Eagle’s range includes most of Canada, Alaska, all of the contiguous United States and northern Mexico. They can be found near large bodies of open water where there is an abundant food supply and old-growth trees for nesting. Opportunistic feeders, Bald Eagles survive mainly on fish, swooping down and snatching them from the water. Their nests are the largest nests of any North American bird and the largest tree nests ever recorded for any animal species. The largest recorded eagle’s nest was found in St. Petersburg, Florida. It measured 9.5 feet in diameter and 20 feet deep. It weighed in at nearly 3 tons. The name “Bald Eagle” derives from an older meaning of “white headed” as the bird is actually not bald. The adult eagle is mainly brown with a white head and tail. Since I like videos, here is Dollywood Celebrates American Eagle Day from the American Eagle Foundation. American Eagle Day is celebrated across our nation on June 20 every year. This year, it was celebrated at Dollywood on Saturday, June 16, during Chatter Reunion. In this video by WVLT, Channel 8, Laura Sterbens and Spencer Williams, along with Bald Eagle Mr. Lincoln preview the day's events. I'm glad to see Dollywood, which I visited in 1981 when it was still Silver Dollar City, get into animal shows and conservation. The park wasn't into such things when I visited, which was before Dolly Parton bought it. Follow over the jump for my celebration of National Seashell Day, which I observe on the 20th regardless of the day the Summer Solstice falls because the day fell on the 20th when I first noticed it and because World Giraffe Day is always on the 21st. I promised I would report on the winners of the MTV Movie and TV Awards. MTV gave out the awards last night and "Black Panther" and "Stranger Things" were the big winners. According to Entertainment Weekly, "Black Panther" and "Stranger Things" won four awards each. I begin with ‘Black Panther’ Wins Best Movie. Chadwick Boseman, Michael B Jordan and Winston Duke of ‘Black Panther’ accept the award for Best Movie at 2018 MTV Movie & TV Awards. In addition to Best Movie, "Black Panther" won the following awards: Chadwick Boseman won Best Performance in a Movie and Best Hero while Michael B. Jordan won Best Villain. Congratulations and Happy Juneteenth to the cast and crew of "Black Panther." Next, The ‘Stranger Things 2’ Cast Accepts the Award for Best Show. Finn Wolfhard, Sadie Sink, Gaten Matarazzo, Noah Schnapp and Dacre Montgomery of ‘Stranger Things 2’ accept the award for Best Show for the second year in a row at the 2018 MTV Movie & TV Awards. In addition to Best Show, Millie Bobby Brown won Best Performance in a Show, Noah Schnapp won Most Frightened Performance, and "Stranger Things" won Best Musical Moment for Mike and Eleven dancing to "Every Breath You Take." Congratulations! While both Chadwick Boseman and Michael B. Jordan were able to take the stage to accept the award for "Black Panther," Millie Bobby Brown was not able to attend. However, she was able to accept her award and gave a video acceptance in Millie Bobby Brown’s Anti-Bullying Message. Other speculative fiction winners included The Losers Club from "IT" for Best On-Screen Team, "Wonder Woman" for Best Fight, and Chris Pratt, who is starring in "Jurassic World 2" this weekend, receiving the Generation Award. Honorable mention goes to Madelaine Petsch from "Riverdale" winning Scene Stealer for being in a comic book television show, even if it doesn't involve superheroes. In addition to today being Juneteenth, it's also National Martini Day. Follow over the jump for a toast to all the speculative fiction winners at the MTV Movie& TV Awards. Normally, I'd wait until Thursday to post this retrospective about the most read entries examining the Oscars that I promised in Bill Nye represents The Resistance for the seventh year of Crazy Eddie's Motie News, but this coming Thursday is World Giraffe Day and the Summer Solstice and Friday will be the day I post this year's drum corps shows with speculative fiction themes. So, since those days are already spoken for and I didn't post a normal Sunday entertainment feature yesterday because of Father's Day, I'm posting it today. 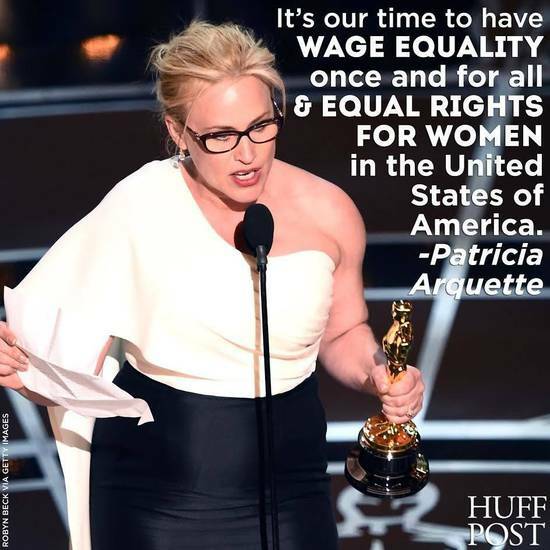 Equal pay for equal work at the Oscars posted March 2, 2015 tied for 37th place overall with John Oliver on D.C. Statehood. It earned 2304 page views during the last month of the seventh year of the blog, all of which were earned by sharing it at the Join the Coffee Party Movement Facebook page. Those page views also made it the sixth most read entry during March 2018. It ended the blogging year with 2613 total raw page views during the three years since it was originally posted. The most read entry about this year's Oscars, at least according to raw page views, was 'Icarus' wins Best Documentary, making a political point at Putin's expense from March 7, 2018. It earned 2142 raw page views between the time it was posted and March 20, 2018, enough to place it 42nd overall and 37th among entries actually posted during the seventh year of this blog. It also placed ninth overall and third among entries posted during March 2018 with 2092 default and 2167 raw page views by the end of the month. Nearly all of those page views came from being shared at the Join the Coffee Party Movement Facebook page. It earned the most comments, five, for the month because of a brief flamewar between Nebris and Infidel 753. 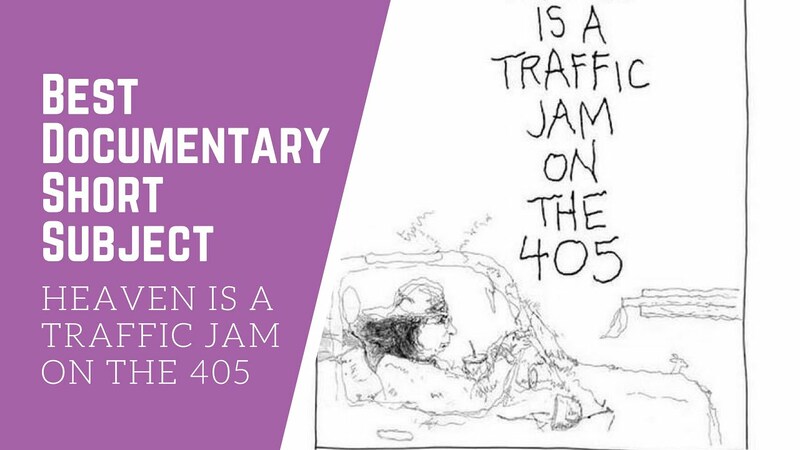 Politics and diversity among Oscar nominated short subjects from March 10, 2018 earned 2107 raw page views in ten days, enough to land it in 44th overall and 39th among entries posted during the seventh year of this blog. The entry also placed eighth overall and fourth among entries posted during March 2018 with 2094 default and 2125 raw page views. Again, it earned most of its page views from being shared at the Join the Coffee Party Movement Facebook page. The lowest ranked entry about this year's Oscars was also the first one I wrote and shared at the Join the Coffee Party Movement Facebook page, Diversity, representation, inclusion, and fantasy all winners at the 90th Academy Awards from March 6, 2018. It ended the blogging year with 2086 raw page views, enough to place it 45th overall and 40th among entries posted between March 21, 2017 and March 20, 2018. It was also the tenth most read overall and the fifth most read during March 2018, ending the month with 2053 default and 2099 raw page views. Nearly all of those page views came from being shared at the Join the Coffee Party Movement Facebook page. In addition, it was the most popular post on Twitter during March with two likes, one retweet, and one reply. The final entry I'm listing in today's retrospective is 'Wonder Woman' is already winning awards — for its trailer from June 11, 2018. It's not about the Oscars but about the best movie of 2017 not to be nominated for an Academy Award. I'm mentioning it here because it was about a movie winning an award and because the post had the most comments of any entry posted last year with eleven. I have two more retrospectives planned in this series, one about comments, likes, shares, and pins and another about the back catalog. I plan on posting those next week. Follow over the jump for the linkspam of previous entries about entertainment and in this series. Happy Father's Day! Last year, I used Stephen Colbert to mock Alex Jones over his custody battle. 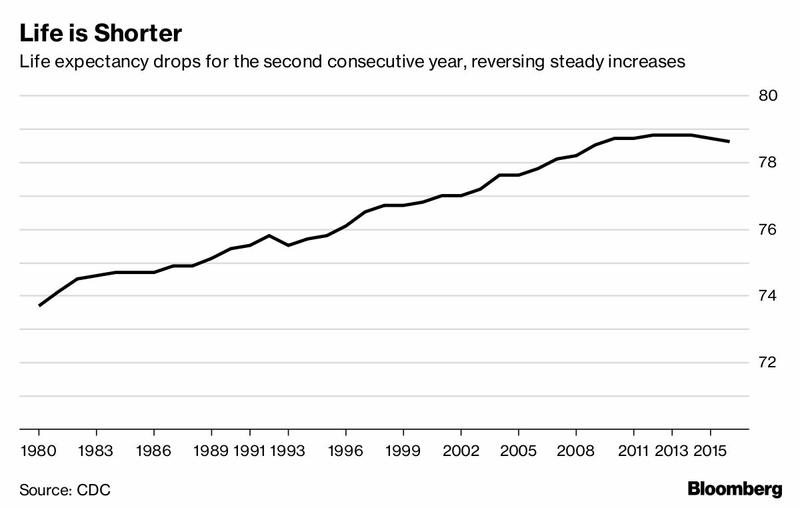 This year, as I wrote in Life expectancy down for a second consecutive year in the U.S., I am "writing about the lower birth rate for Father's Day," even though that is usually considered a concern of mothers. The least apprehensive and most thoughtful report I could find on the issue is The surprising thing about the declining U.S. birth rate from PBS NewsHour. More than 3.8 million babies were born in the U.S. last year, but the birth rate drop was the largest one-year decline since 2010. Why hasn’t the downward trend changed direction, even though economic conditions have improved? Amna Nawaz explores some of the factors with Hans-Peter Kohler of the University of Pennsylvania. Kohler is the calmest expert I've seen interviewed on this topic. On the one hand, he's saying that there is no reason to panic just yet, as lots of well-off countries have even lower birth rates, so the U.S. is actually becoming more normal and that we are not yet at levels where low birth rates are a serious economic concern. On the other hand, birth rates can drop far enough that they will cause problems that social policy can't fix. In reality, it's not the birth rates that concern me; the graph above from Calculated Risk shows that, even adding in the drop between 2016 and 2017, total births were lower in 1997, not a time I recall widespread concern about not enough babies in the near future. It's the fertility rate. The graph below from Mother Jones shows it at a record low, well below replacement rate. With an increased death rate and a lower immigration rate, that will cause the population of the U.S. to stop increasing sometime this century. I have been in favor of zero population growth for as long as I can remember. However, I'm not sure the U.S. economy is set up for a stable or slowly declining population, a point I made in the Hipcrime Vocab: Why Slowing Population Growth is a Problem. We are going to have to figure how to do so. Otherwise, I might live long enough to experience the wisdom of the saying "Be careful what you wish for; you might get it." Life expectancy down for a second consecutive year in the U.S. I observed the following in a footnote to Anthony Bourdain's and Kate Spade's deaths call attention to rising suicide rates in the U.S..
All this reminds me that I haven't updated my readers on U.S. life expectancy falls prompting Russian analogies from 2016. U.S. life expectancy fell a second consecutive year in 2016 and likely fell again in 2017. The last time that happened in the U.S., it was because of the Spanish Flu during 1916-1918. I plan on writing about both the drop in life expectancy as well as the falling birth rate next week. Stay tuned. Life expectancy in the U.S. has declined for the second year in a row, and opioid drug-related deaths are partially responsible, according to the CDC. Washington Post health reporter Lenny Bernstein joins CBSN to discuss. Looks like I will have to blog some more about the opoid crisis outside of nominees and winners for awards shows. At least my entertainment entries serve some serious purpose! As I wrote above, life expectancy is likely to decline for a third year in a row. From the Tech Times article I linked to above. Last year, the death rate rose making 2017 the third straight year of decline in the American life expectancy rate, preliminary data suggests. On Wednesday, May 23rd, the Centers for Disease and Control posted numbers online that claim the death rates in America rose due to Alzheimer's Disease, diabetes, the flu, pneumonia, and three other causes. That's the bad news. The article also had some good news. Despite this current epidemic, the good news is that the death rate for cancer continues to drop. Cancer, which is considered the nation's second "killer," fell 2 percent in 2016. The heart disease rate also fell. However, the percentage it dropped to was 0.3 percent. Experts believe that the nation's growing obesity rate could be one of the major factors in heart disease rate decline. Death rates attributed to HIV and blood infections also declined. I'll be sure to report on the final numbers for 2017, which should come out at the end of the year. *I'll pay the rest of my promise tomorrow, when I plan on writing about the lower birth rate for Father's Day. Stay tuned. Yesterday, I wrote "The next entry will be about Bill Nye and The Resistance" and that I would post it today. Time to follow through. 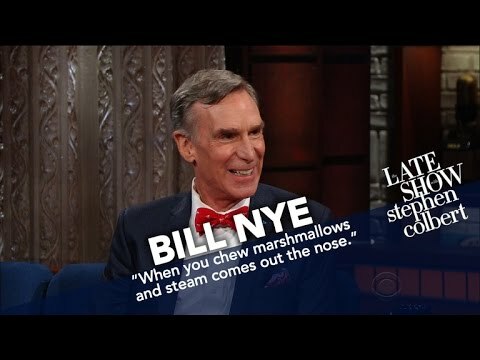 The 43rd most read entry of the seventh year of this blog and the 38th most read actually posted during the blogging year is Bill Nye cited the Constitution to justify the March for Science on Colbert's show from May 9, 2017 with 2120 raw page views. It was also the most read entry during June 2017 with 1874 default page views. The entry had 83 page views before being shared at the Coffee Party USA Facebook page on June 1, 2017. It earned 974 page views in the first two hours after being shared and 1782 in the first 24 hours. It maxed out at 1957 default and 2063 raw page views at 7:59 P.M. on June 7, 2017. When I wrote "I will be serving political leftovers" this week, this is one of the items I was planning on warming up. By the way, here is Bill Nye at Huge Science March Crowd “Science Must Shape Policy!” from Climate State where he cites that section of the Constitution. On Earth Day, April 22, Bill Nye, CEO of the Planetary Society, also known as “The Science Guy,” spoke in front of large crowd in Washington DC. He didn't start saying that on Colbert. The next retrospective will be about the Oscars. I will post that next week. Stay tuned. Previous retrospective about The Resistance. Previous entries about the top posts of the seventh year of this blog. The 27th most read entry of the seventh year of this blog was Trump's wiretapping claim shows his vulnerability for conspiracy theories from March 6, 2017. * It finished the blogging year with 3235 total raw page views, 377 of which were earned before March 21, 2017, so 2858 of them belonged to the seventh year. It was also the second most read entry during April 2017 with 2634 default page views during the month. Before I describe how this entry earned its readership, I'll let Vox update the story with Trump invented a fake spy scandal. People will still believe it. It's a tactic the president has used before, and it works. President Trump calls it calls it “spygate:” the allegation that the FBI and democrats put a spy in his campaign to help Hillary Clinton. It’s not true. Top [R]epublicans like Speaker Paul Ryan have even disputed the president. But even though it’s a conspiracy theory, millions of Americans will still believe it. It’s a playbook he has used before. “Spygate” is an attempt to delegitimize the FBI and special counsel Robert Mueller’s investigation. If the American people lose trust in them, they won’t believe whatever the investigation finds. It’s working. This entry gained readers in two stages. In the first stage, I shared this entry at the political and anti-Trump groups and communities on Facebook and Google+ during the first week in March. Infidel 753 also linked to it as his blog. Those plus persistent web search were enough to earn this entry 349 page views, 377 according to the raw counter, during March, placing it sixth, fifth among entries posted during March. Before I shared the entry at the Coffee Party Facebook page on April 3rd at 11:00 P.M. E.D.T., it had a total of 357 page views, 394 according to the raw counter. During the second stage, the entry earned nearly 2500 page views in the first 24 hours after being shared. It also helped attract 6,723 page views to the blog that day. The entry maxed out at 2897 page views, 3000 according to the raw counter, on March 5, 2017. The next entry will be about Bill Nye and The Resistance. I plan on posting that tomorrow. Stay tuned. Follow over the jump for the footnote and a linkspam of previous entries in this series. I am fulfulling my promise to "have more on Business Insider on the retail apocalypse with an emphasis on stores instead of malls" to conclude Business Insider on dead malls in the Retail Apocalypse with assistance from Dan Bell and Radiohead with two graphs and a video. First, Business Insider reported last September that more than 6,400 stores were shutting down in 2017. In true "a picture is worth 1000 words" fashion, they presented the data visually. I wrote yesterday that I would write about the demise of Payless. This graphic shows that Radio Shack is another famous chain I need to examine. Once again, Retail Archeology has videos, which I will use when I post that follow-up. The third company closing lots of stores is Ascena Retail Group. I didn't know who they were, but I did know some of the chains they own, including Ann Taylor, Dress Barn, Lane Bryant, and Loft. I might suggest Retail Archeology look at them. He already has a video about Claire's. Next, Business Insider followed up this April by reporting more than 3,800 stores will close in 2018. The following graph displays the affected chains. Both J.C. Penney and Macy's closed more stores last year than Sears and are still closing stores this year, but fewer than Sears both this year and overall. That doesn't mean they're immune from my eye. I'll look at both of them in the future as well. Speaking of Sears, Business Insider also has a a video that goes along with Part 1 and Part 2 of Sears, a tale of the retail apocalypse, We Went Inside A Sears And Saw Why The Company Is Dying. We visited a Sears in Jersey City, New Jersey to see why the company is imploding. We were shocked by the dismal conditions on a Tuesday afternoon. When asked for comment Sears spokesperson Howard Riefs responded with the following: "Some areas of this particular Sears store are in seasonal transition and other areas are in the midst of project work. For example, we recently moved the men’s department to the lower level and are in the process of replacing the carpeting in the former denim section. Nevertheless, the described images from this store are not representative of the majority of our Sears locations and do not depict what we want our members and customers to experience. We take these matters seriously and this store’s team has already begun addressing the issues. We hope your video depicts a comprehensive look at this store, which includes our all-new Showcase area featuring top international apparel, footwear and accessory brands that are debuting in America exclusively at Sears." Yikes! That's worse than anything Retail Archeology showed! That's it for tales of the Retail Apocalypse for now. Stay tuned for two more retrospectives of the seventh year of this blog tomorrow and Friday. I found a shiny object from Business Insider that gives another take on Vox on America's dying malls as failed third spaces — Reasons Why Malls Across The US Are Closing Down More Than Ever. The American shopping mall is in a crisis. One of the largest malls in Pennsylvania, the Galleria at Pittsburgh Mills, sold for just $100. We explore the variety of reasons why malls cannot keep their stories afloat and are becoming vacant wastelands. Hey, a mall that sold for $100? I've seen something about that, Dan Bell's DEAD MALL SERIES : The $100 Mall : The Disaster of Pittsburgh Mills. Bell provided some telling details about the mall and its sale. It was built in 2005, so it was already late to the party. No wonder it never filled up and eventually failed. Good luck to Wells Fargo and getting its money back; they'll need it. Bell also showed a Payless store closing down. I'll have to cover Payless in a future installment of this series. Fortunately, Retail Archeology has a video about it, which I'll post when I write that episode. Finally, Dan Bell mentioned Radiohead's "Fake Plastic Trees," so I'm going to post a video of the song. Here is Ramin Djawadi's cover from the "Westworld" Season 1 soundtrack. I couldn't resist referencing "Westworld" while Season 2 is airing. *For my readers who expected me to write about "both the drop in life expectancy as well as the falling birth rate," which I promised in a footnote to Anthony Bourdain's and Kate Spade's deaths call attention to rising suicide rates in the U.S., Saturday is still this week. Look for it then. I concluded A belated World Oceans Day 2018 by promising "I'll post the Sunday entertainment feature I planned for today tomorrow. Stay tuned." It's tomorrow, so here is the entertainment update I originally planned to post yesterday, my votes for this year's Saturn Awards along with my predictions of who will actually win each category. I begin with my votes for the movie nominees. My vote Daniel Kaluuya. Who is likely to win: Chadwick Boseman or Mark Hamill. My vote: Sally Hawkins. Who is likely to win: Gal Gadot. My vote: Coco. Who is likely to win: Coco or Despicable Me 3. My vote: Wonder Woman. Who is likely to win: Black Panther. My vote: The Shape of Water. Who is likely to win: The Shape of Water, Beauty and the Beast, or Jumanji: Welcome to the Jungle. My vote: Wonder Woman. Who is likely to win: Beauty and the Beast, The Greatest Showman, or Black Panther. My vote: Guillermo Del Toro. Who is likely to win: Guillermo Del Toro or Ryan Coogler. My vote: The Shape of Water. Who is likely to win: Black Panther or Star Wars: The Last Jedi. My vote: Guardians of the Galaxy Vol. 2. Who is likely to win: Star Wars: The Last Jedi. My vote: War for the Planet of the Apes. Who is likely to win: Star Wars: The Last Jedi. My vote: Get Out. Who is likely to win: Get Out or IT. My vote: I, Tonya. Who is likely to win: Wonderstruck. Release My vote: The Square. Who is likely to win: The Man Who Invented Christmas. My vote: Dafne Keen. Who is likely to win: Tom Holland, Sophia Lillis, or Letitia Wright. My vote: Star Wars: The Last Jedi. Who is likely to win: Star Wars: The Last Jedi. My vote: Patrick Stewart. Who is likely to win: Harrison Ford. My vote: The Post. Who is likely to win: Murder on the Orient Express. As one can tell, I think that "Black Panther" is very likely to win most of its categories, but I did not vote for it. I'll distill the reasons for that decision that I gave in 'Black Panther' vs. 'Wonder Woman' at the Saturn Awards for a late Free Comic Book Day. First, I did not want to contribute to the streak of Marvel Cinematic Universe movies about single characters or lesser known characters winning the Comic to Motion Picture Release again. Second, I did not want to abet the nomination committee slipping a movie just under the deadline using their discretion to bend the eligibility period, which messed up the likelihood of "Wonder Woman" having a good shot at winning. Third, my wife's favorite superhero is Wonder Woman, and I didn't want to disappoint her. Besides, I do want to recognize the best DCEU movie since Nolan's "The Dark Knight," which might not even qualify as part of the series. At least I think Gal Gadot will win for Best Actress, even if I didn't vote for her. By the way, Guillermo Del Toro has already won an award, The Dr. Donald A. Reed Founder’s Award. Joining him among the special honorees are Jason Blum for The Producers Showcase Award, Jake Kasdan for The Filmmakers Showcase Award, Sarah Schecter for The Dan Curtis Legacy Award, and Don Mancini for The Special Achievement Award. No Breakthrough Performer this year? Darn. Follow over the jump for my votes in the television and home entertainment categories. Friday is World Oceans Day, which comes at a time our oceans face threats from plastic pollution as well as the growing effects of climate change. Gaelin Rosenwaks, a marine scientist and founder of Global Ocean Exploration, joins CBSN to discuss the dangers oceans face and how people can take small but significant steps to make a difference. Climate change, plastic pollution, and overfishing make a deadly trifecta of threats to all the world's oceans, not just the coral reefs. Here's to hoping World Oceans Day makes people more aware of their impact on the oceans. Anthony Bourdain's and Kate Spade's deaths call attention to rising suicide rates in the U.S. The celebrity chef and TV host died of an apparent suicide while in France, according to CNN. It turns out that Bourdain and Kate Spade are part of a trend, which WXYZ noted in Anthony Bourdain's death raises new concerns about spiking suicide rate. The recent deaths of Kate Spade and Anthony Bourdain are shining a light on the new suicide epidemic in the United States. I appreciate both the local angle on Bourdain's connection to Detroit as well as placing his death in context as part of a larger trend.† In addition, the mention of his awards reminds me that I listed Bourdain's nominations and awards in 'Simpsons,' 'Westworld,' 'American Horror Story' among Golden Trailer winners, More nature and science at the Primetime Emmy Awards, "13th" vs. "O.J. : Made in America" plus other non-fiction political programs nominated at the Primetime Emmy Awards, and 'Planet Earth II' wins two Emmy Awards just last year and 'Orange is the New Black' and 'Cosmos' already big Emmy winners from 2014. Here's what I wrote about him then. The last show I'll mention is CNN's "Anthony Bourdain: Parts Unknown," which won for Informational Series or Special. I have a special fondness for Mr. Bourdain. Not only is he a great character who writes about food and is a fun host of shows about travel and food, but I've been told that I sound like him. I rather like that idea. I'm sure I'll be writing about Emmy nominations for both Bourdain and "Parts Unknown" next month, just as I will for Stephen Hawking. Those will be bittersweet experiences. 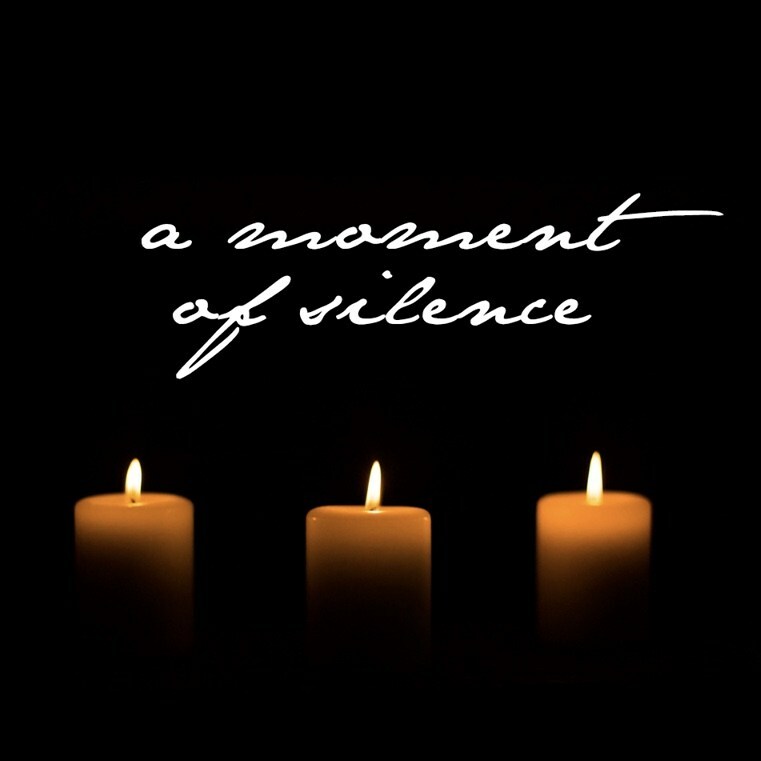 Now, a moment of silence for the man whose voice will be heard no more. *There is an even better CBS This Morning segment, but I'm not embedding it given the show's history of taking down the videos I use. †All this reminds me that I haven't updated my readers on U.S. life expectancy falls prompting Russian analogies from 2016. U.S. life expectancy fell a second consecutive year in 2016 and likely fell again in 2017. The last time that happened in the U.S., it was because of the Spanish Flu during 1916-1918. I plan on writing about both the drop in life expectancy as well as the falling birth rate next week. Stay tuned. I plan on posting the next installment, which will be on the most read News and Documentary Emmy Awards entries, tomorrow. Stay tuned for a Flashback Friday retrospective! That's how I concluded Verge Science updates bees on the endangered species list plus environmental policy for the seventh year of Crazy Eddie's Motie News and that's exactly what I'm doing. The most read entry in this review of the seventh year of this blog isn't actually about last year's News and Documentary Emmy Awards; it's about this year's. 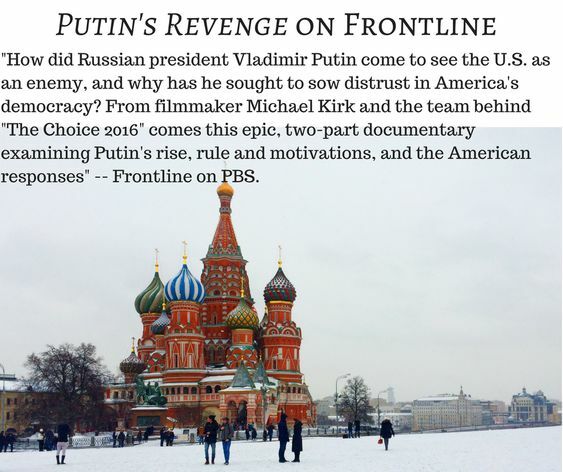 'Putin's Revenge' on Frontline: Looking forward to next year's Emmys 3 from November 30, 2017 is a prediction of an Emmy nominee. Even so, it earned 3509 raw page views for the blogging year, enough for it to rank 20th overall and 18th among entries actually posted between March 21, 2017 and March 20, 2018. It was also the fourth most read entry during December 2017 with 3261 default page views after maxing out at 3360 default and 3393 raw page views on December 19, 2017. Before being shared at the Join The Coffee Party Movement Facebook page at 11 P.M on December 2, 2017, this post had 105 default page views. It earned 1557 default page views in the first two hours and ~3000 in the first 24 hours after being shared. It, along with "Vox explains how proportional representation can solve gerrymandering and help minor parties" and "Ezra Klein of Vox explains how third parties are the Underpants Gnomes of U.S. politics" helped attract 10,073 page views to the blog on December 3, 2017, which set a record for daily page views that lasted until February 5, 2018, when John Oliver on stadiums and NFL cheerleaders for Super Bowl Sunday and Two Emmy winners examine youth and high school football together earned 10,681 page views for a new record. That high-water mark only lasted a month, when Suit against John Oliver and HBO dismissed helped attract 16,732 page views to the blog, setting a new record for daily page views on March 4, 2018. That record only lasted a month itself until April 8, 2018, when Facebook knows your political affiliation and much more helped attract 23,947 page views to the blog the day it was shared, the current record. Sic transit gloria mundi. I plan on blogging about this entry in September, when I will once again train my gaze on the News and Documentary Emmy nominees. Until then, follow over the jump for the actual News and Documentary Emmy nominees and winners from last year along with an entry that I missed when I put together The Primetime Emmy Awards for the seventh year of Crazy Eddie's Motie News. Once again, it's Throwback Thursday, so it's time for another retrospective of the blogging year just past. As I promised in The Primetime Emmy Awards for the seventh year of Crazy Eddie's Motie News, today's review of last year's top posts is about environmental issues other than climate change. 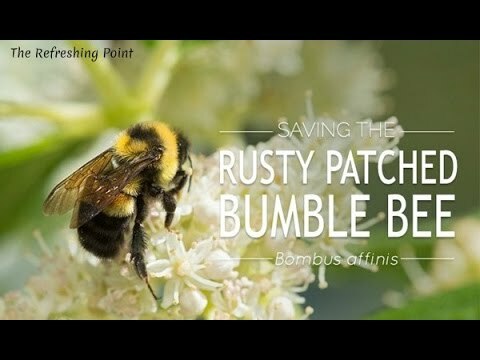 The top entry on that topic was Rusty-Patched Bumblebee finally placed on the Endangered Species List from March 22, 2017. That was the second day of the seventh year of this blog, so this entry became the first to enter the all-time top ten, which I noted in Holidays for the sixth year of Crazy Eddie's Motie News. The post earned 3863 raw page views over the year, enough to place it 16th overall and 14th among entries actually written during the blogging year. It was also the most read entry during April 2017 with 3491 default page views. Before I explain how the entry earned its page views and place, I am sharing an update on the topic from Verge Science: Bees are going extinct...but not the ones you think. You’ve probably heard for years that bees are in dire straights. Which is true…but it’s probably not the bees you’re thinking of. We talk to a bee researcher about what’s really at stake for bees, global agriculture, and all the almonds you’ve ever eaten. For more, read all the entries with the bees label. Follow over the jump for how this entry earned its page views as well as the other top non-climate environmental story of the past year. Climate change does not rest. Vox posted an example during the first week of this month when the channel explained Why chronic floods are coming to New Jersey. Railroads aren’t great if they’re underwater. Scientists have directly observed sea level rise since the late 18th century. And as they forecast the next 20, 50, and 100 years, sea level rise will continue to accelerate at an alarming rate. That rise won’t just threaten homeowners on the coast -- it will also impact the critical infrastructure that supports many of our largest cities. While sea level rise is often phrased as an issue of concern in the future, we can already see some of the implications. 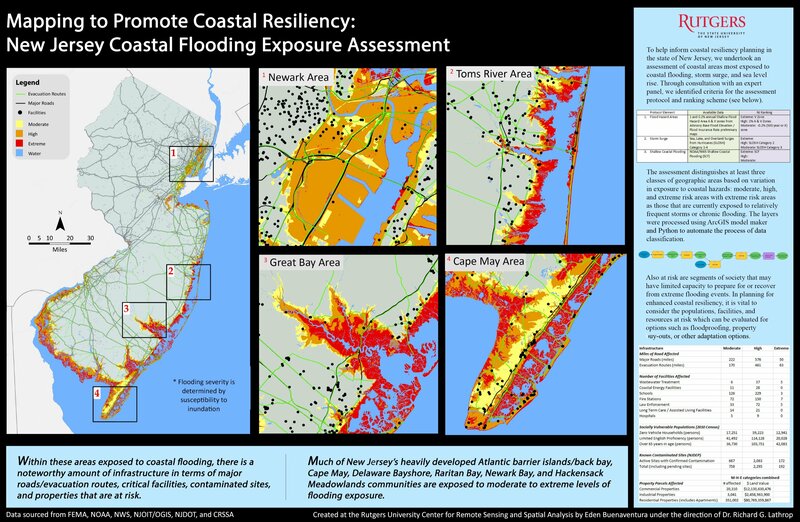 Many coastal communities have witnessed a sharp uptick in flooding, during lunar king tide periods. Other places are forced to consider what life might be like as the land they currently occupy goes underwater. The main focus on coastal flooding is usually on south Florida. However, the mid-Atlantic coast, including New Jersey, is at just as much, if not more risk, and it deserves the attention Vox gave it. For what it's worth, "An Inconvenient Sequel" portrayed the situations at both locations, although mostly in the context of Hurricane Sandy for New York, while showing the chronic flooding in Florida. * Sea level rise will become a chronic issue for both locales. *I also watched "Chasing Ice." Right now, I'm favoring the latter to show to my students. In the video I embedded in Seeker explains how television entertainment can shape our political opinions, presenter and writer Amy Shira Teitel told viewers to click on a video showing 'the mind games politicians play to win.' Here is The Mind Games Politicians Use To Win Votes from Seeker/DNews. Politicians put a lot of work into the way they get votes, and it’s not just by writing a great speech. Two of the sources for this video deserve closer scrutiny, beginning with Tears and fears: How do emotions change our political attitudes? "There's been a lot of focus in recent years on emotions and political attitudes, but the ways we, as political scientists, have studied this phenomena have made it hard to draw firm conclusions," said Dr. Jonathan Renshon, from the University of Wisconsin-Madison. "We bypassed many of the methodological problems of previous studies by inducing an emotion unrelated to politics and measuring its effects not with self-reports but with tonic skin conductance." "We found that the anxiety we generated was powerful enough that people couldn't simply turn it off, it carried over to unrelated domains and actually influenced people's political beliefs, particularly their attitudes towards immigrants," concluded Renshon. "This is all the more important as political campaigns become more adept at stimulating and manipulating the emotions of the general public." The conclusion of this press release leads me to the conclusion of Deep Voice Gives Politicians Electoral Boost by Diana Kwon at Scientific American. We like to think that we consider our electoral options carefully, and base our decisions on conscious, rational judgments. 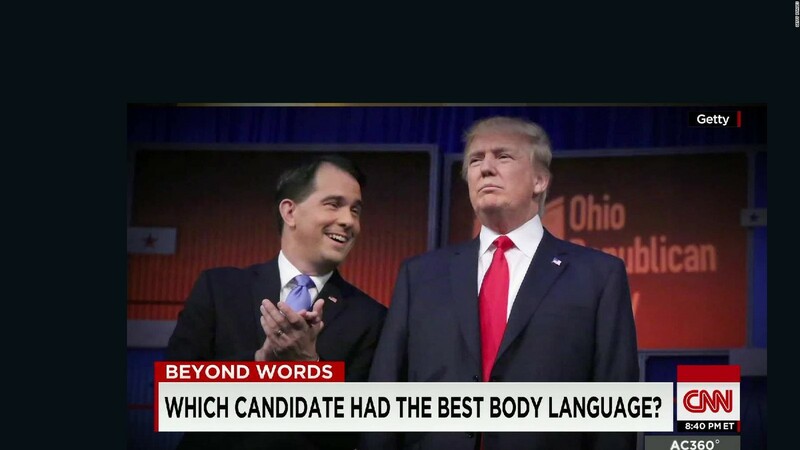 But it may be a candidate’s height, attractiveness or voice that play outsized roles when we go to the polls. I'd like to agree with Julia Wilde, the presenter of the video above, that, once we know about the emotional buttons politicians press, we can work to suppress them and pay attention to policy and other rational matters, but I think that's easier said than done. Keep that in mind this election year, especially all my readers in the eight states going to the polls today for primary elections. May they at least try to make a rational decision instead of an emotional one when they vote. I concluded Part 1 of Sears, a tale of the retail apocalypse by writing a program note: "I plan on presenting the view on the ground on Monday, when I will share three videos from Retail Archeology. Stay tuned." I begin with Come See The Deader Side of Sears. A video tour and mini documentary about the dying retail store Sears. Footage was filmed in Mesa, AZ on 11/30/2016. While this does not take the same long-range perspective as Sears: The Rise And Fall Of The Massive U.S. Retailer from CNBC, it still gives a sense of history though personal detail as well as serving as an example of the decline of Sears. The narrator mentioned that the Sears store in this video was in better shape than the one in Fiesta Mall, which he had just recorded. * That store appears in Sears: Open For The Community? | FIESTA MALL LOCATION CLOSING JANUARY 2018 and shows a location in serious decline. 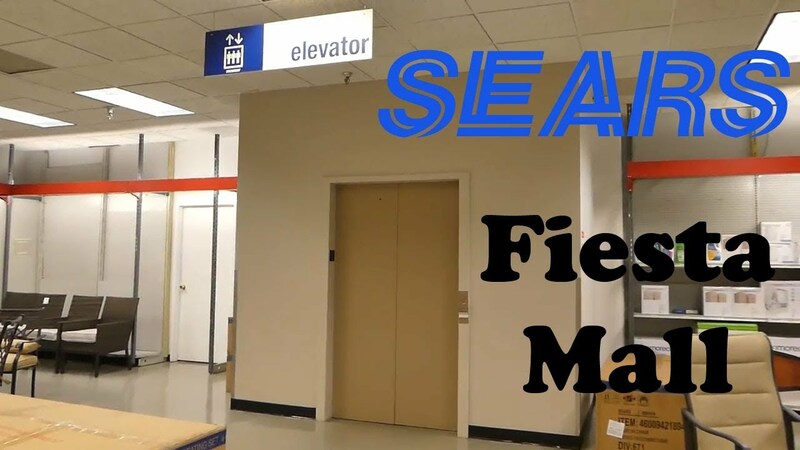 In this episode of Retail Archaeology we take a look at the Sears located at Fiesta Mall. It was announced on 11/2/2017 that this store will be closing in January of 2018. Filming for this video was done on a Saturday afternoon between 12pm & 1pm at Fiesta Mall. What the hell does "open for the community" mean? All of the efforts to attract customers failed and the store was scheduled to close, as documented in Sears: Not Open For The Community | Retail Archaeology Dead Mall & Retail Documentary. In this episode of Retail Archaeology we take a look at a Sears in the final stages of its liquidation sale. This is the Sears at the dead mall Fiesta Mall and is the same location I covered 6 months ago that put up the weird "Open For The Community" banner. That's every bit as sad as the closing stores in Toys R Us closing down and Kmart may follow. As Sears closes more stores, expect to see more scenes like this. When that happens, I'll post a third part to this mini-series. Retail Archeology has videos on other stores suffering during the retail apocalypse, including Macy's, Penny's, Radio Shack, Claire's, and, of course, Toys R Us and Kmart. I plan on posting entries with those videos as well. Stay tuned. *I may post videos of that mall's decline and closing, too. Last year, the headline for the Golden Trailer Awards was 'Wonder Woman' is already winning awards — for its trailer. This year, the big speculative fiction winners are "Black Panther" for movies with four wins and Stranger Things and "Westworld for television with three victories each. I'll let Collider tell most of the movie news in Black Panther Wins Top Golden Trailer Award. The 19th Annual Golden Trailer Awards was held at the Ace Hotel in downtown Los Angeles last night. ’Black Panther’s “Crown” trailer took home the awards for Best of Show (which Wonder Woman won last year) and Best Action. The film beat out trailers from Avengers: Infinity War, Kingsmen: The Golden Circle, Rampage and Tomb Raider. The “Crown” trailer has over 38 million views as of this posting and the film itself broke all kinds of box office records during its release. At least, some portion of this is due to the incredible trailers that were part of the marketing campaign including the “Crown” trailer. This could signal the first of many awards Ryan Coogler’s film might be receiving as we enter into the second half of the year and nominations for film awards start being announced. John Rocha and Dorian Parks discuss this news and these awards in this news piece. They explore if the ‘Black Panther’ trailer was worthy of the award against the powerful competition it beat. They also offer their opinions on what made the trailer stand out so powerfully. 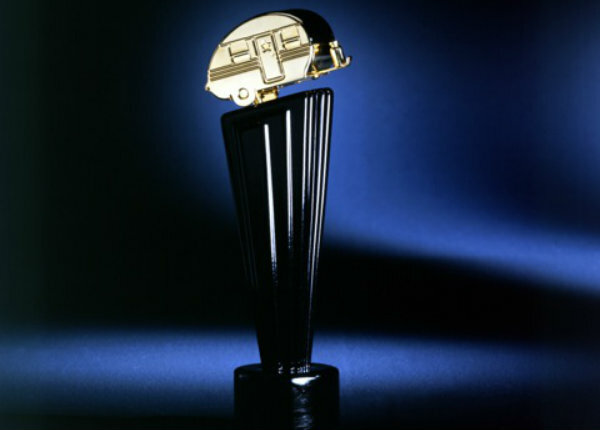 In addition to "Black Panther" winning Best of Show and Best Action for "Crown," Deadline reported that it also won for Best Action TV Spot (for a Feature Film) for "Entourage" and Best Action TV Spot (for a Feature Film) for "Women of Wakanda" for a total of four, the most of any movie or television show. Congratulations to "Black Panther" on its first awards. Next up, the MTV Movie and TV Awards! Follow over the jump for the rest of the speculative fiction winners in both movies and television. When I shared Toys R Us closing down and Kmart may follow at the Join the Coffee Party Movement Facebook page, I promised "The next installment about the retail apocalypse will be about Sears. Stay tuned." Here it is. I begin with CNNMoney reporting Sears is closing 63 more stores. The company initially announced plans Thursday to close 72 stores, but pulled back slightly and released a list of only 63 stores slated for closing - 48 Sears stores and 15 Kmart stores, spread across 29 states. The company said the nine additional stores that it initially planned to announce would close will be evaluated further. MarketWatch put these closings in context, at least for the short term. Sears said Thursday it had closed 67 Kmart stores and 41 Sears stores during the 13 weeks ended May 5, and closed 303 Kmart stores and 123 Sears stores in 2017. CNNMoney described the longer term trend. The company closed nearly 400 stores during the past 12 months, and now has a total of 894 left, including the 63 slated for closure. The two chains had a total of 3,500 US stores between them when they merged in 2005. CNBC takes the longest possible view in Sears: The Rise And Fall Of The Massive U.S. Retailer. Sears Holdings CEO Eddie Lampert admits his retail empire isn't what he imagined it would become when he brought Sears and Kmart together 13 years ago. He had his eyes set then on being "the next Warren Buffett," and Sears Holdings was supposed to be his Berkshire Hathaway, says one former top Sears executive. But Lampert's strategy from the start was slashing costs to grow the bottom line, even if that meant not investing in Sears' stores, the person explained to CNBC. Sears and Kmart were already lacking so many resources, namely investment capital to fend off online upstarts like Amazon, and an experienced bench of retail executives, so these early cuts took an enormous toll. The video mentioned Sears selling off Land's End and Craftsman. According to CNNMoney, the brand the chain will sell off next is Kenmore, its line of appliances. Lampert himself may end up owning it. That's one way to strip the assets of the company he runs. All of the above examined Sears and its issues from the air. I plan on presenting the view on the ground on Monday, when I will share three videos from Retail Archeology. Stay tuned.